Charming hotel with 40 suites. Magnificent view, Mediterranean ambiance as well as cosy and elegant atmosphere. Sauna lounge and heated pool. Panoramic terrace and Alpine-Mediterranean cuisine. 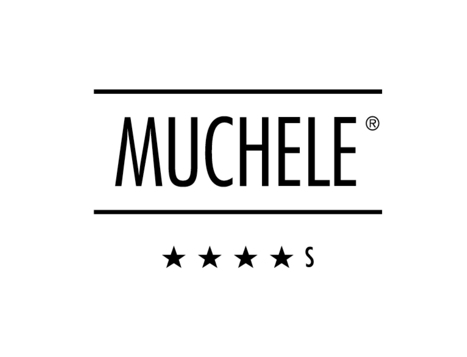 Welcome to Hotel Muchele****s in Burgstall near Meran! If you are looking for luxury and elegant environment, Hotel Muchele Hotel in Burgstall will be the right choice for you. 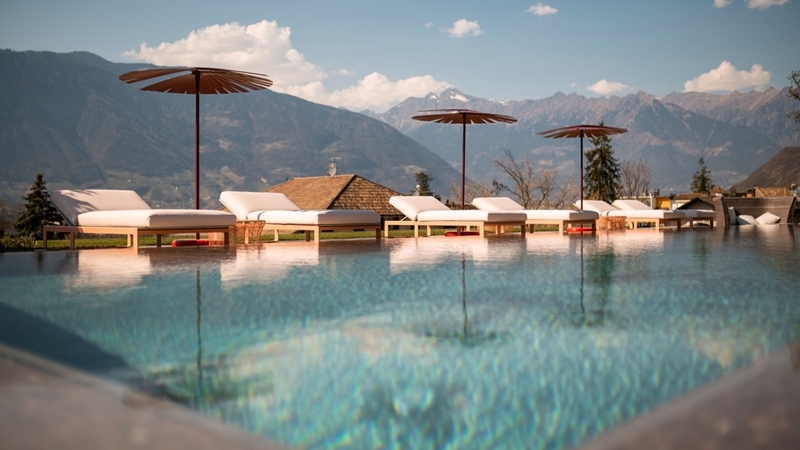 Located in the heart of Meran holiday region, you can feel like in an oasis of well-being for body and soul – ideal for design lovers, individualists and wine lovers. Our task during your holiday, will be to pamper yourself by putting at your disposal all our services and comforts of a 4-star hotel – as we have been doing it since 1952. There is a variety of finely furnished rooms and suites of different categories, with WLAN and air conditioning. For those who really want to enjoy luxury holidays, we offer the Moroso Penthouse: Colourful, lively, spacious and the view is breath-taking – each with its own private roof terrace and whirlpool. A special gem of our Hotel Muchele is the “Anna SPA” with indoor and outdoor pool (21 m), sauna lounge, private spa suite as well as countless spa and beauty treatments. In our restaurant, we serve honest, colourful and down-to-earth delicacies. Hotel Muchele in Burgstall is located only 5 km from the thermal spa city of Meran and is the perfect starting point for numerous activities in Meran and environs. The Golf Club Lana is located right next to our hotel too. We will be glad to have you soon as our guest! This suites are in the Muchele Loggia, with bathroom, bedroom and sleeping couch, tv, minibar, safe, balcony and breathtaking view to the pool and the Mountains, air condition. Ca. 36 m². This suites are in the Muchele Loggia, with bathroom, bedroom and sleeping couch, tv, minibar, safe, balcony and breathtaking view to the pool and the Mountains, air condition. 5 suites with direct accesso to garden and pool. Ca. 36 m². NEW from March 2015. Bright, light, spacious, tasteful and the new favorite room in Muchele. 35 m² stylish living and sleeping pleasurable. Covered balcony, design shading. NEW from March 2015. Design-shading with amazing play of light in the room. Something different and totally comfortable. The highlight is the spacious terrace with sun loungers and outdoor shower. Priceless views of the magnificent mountain scenery. 35 m² stylish living and sleeping in oversized double bed. NEW from March 2015. Colorful, cheerful, generous and the view is simply priceless. On this floor there are only 3 units - each with its own private roof terrace. Designer Patricia Urquiola has a free hand and we enchantthe attic with Moroso. Ideal for those who like to be at the top, sometimes want to sunbathe naked... or watch the stars in the bubbly. The Moroso Penthouse, our new heart with 52 m². Bedroom connected with living room (sleeping couch for 2 more people), bathroom with bath tub, LCD flatscreen, safe, hairdryer, minibar, telephone, w-lan, air condition on request, balcony, walk-in closet. Ca. 38 m². Our simplest double rooms, without balcony. Not modern, but classic! Equipped with carpet, new comfortable foam mattresses and 42" TV, safe, hairdryer, minibar, telephone, free W-Lan, on request mobile air conditioning. The bedrooms have a bright bathroom with shower, WC and bidet. Ca. 25 m².